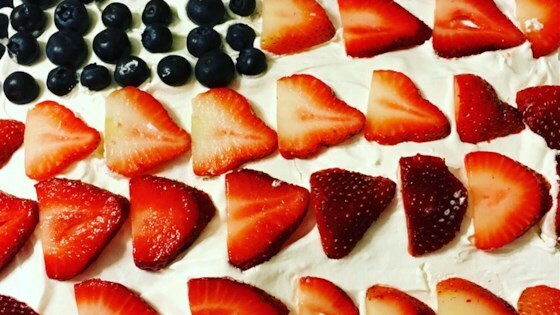 "Spectacular Fourth of July Dessert! Present at night with a couple of sparklers for the best effect. Can make with shortcake mix, too." This patriotic cake is perfect for Fourth of July picnics and parties.